Deputy Prime Minister Dmitry Kozak gave a number of instructions on the development of measures to support green energy. For example, by November 20, departments and key investors in renewable energy should agree on the associating equipment exports support to the price of generation instead of the cost of building capacity. It was also proposed to consider the possibility of separating waste incineration from traditional green energy and to give wind generation customs privileges. MOSCOW, October 26 – Deputy Prime Minister Dmitry Kozak formed a number of instructions to the agencies, as well as Rusnano and Rosatom (the key investors in renewable energy), which must present concerted positions on the mechanism of further support of green generation during 2025-2035 period by November 20, as it is said in the minutes of the meeting of October 15, reports Kommersant, which managed to get acquainted with the document. According to the newspaper, the protocol contains an analogue of the “road map” of measures, which include associating support to exports through the national project “International Cooperation and Export”, switching to the selection of projects at a single one-cost price of output (they are now being selected by capex), gradual increase in localization, reduction in the cost of loans and tax burden. At the same time, the current power delivery contracts (PDC) of renewable energy, returning investments due to increased payments for capacity and criticized by many, are not mentioned in the protocol, the newspaper notes. Among the new ideas, a requirement was made to separate the programme for the development of “true” renewable energy sources from waste-burning thermal (waste-to-energy) power plants (WtEPP). The waste incineration was introduced into the system of renewable energy sources in 2017, and it received a part of green quotas, which was unhappy with investors from wind (WPP) and solar (SPP) stations. The source of Kommersant in the government says that the support of the WtEPPs would take place according to a different quota, but what the mechanism might look like is still unclear. “In many countries, waste–to–energy is primarily the disposal of waste after sorting and only after that – energy,” the newspaper’s industrial source said. A part of green generation financing was also promised to WtEPPs: the Ministry of Energy proposed to allocate up to 400 billion rubles for renewable energy (distilled from additional payments of the energy market consumers; by 2035, the total payment for all types of generation would total up to 3.5 trillion rubles), of which 300 billion rubles are destined to WtEPPs. The Energy Ministry did not comment on the idea, noting that they are forming an opinion on the prolongation of renewable energy support beyond 2024, which includes taking into account the results of the first investment wave, reminds Kommersant. RT-Invest (a WtEPP investor, affiliated with Rostec), notes that waste-based generation is at the development stage; the fund concluded their first PDC for five TPPs as recently as 2017. “Withdrawal into a separate quota can significantly slow down both the development of the waste recycling industry and renewable energy sources as a whole,” the company believes, adding that WtEPPs are considered green generation everywhere in the world. “The current configuration takes into account the interests of both the business and the energy market, creates comfortable conditions and does not require transformation,” – RT-Invest believes. The Deputy Prime Minister’s instructions also contain a possible redistribution of the unselected quota of small hydropower plants (up to 25 MW) in favor of the SPPs and the WPPs. The HPPs were of little interest to investors, as only 160 MW were selected from the 390 MW quota. The Director of the Russian Association of Solar Energy, Anton Usachev, believes that it is logical not to transfer the quotas, but the amount of financial support for this generation, since CAPEX in the solar energy sector at the last selections is 2.2 times lower than that of small HPPs. According to his estimate, the redistribution of 230 MW of small HPPs will add 490–635 MW to the SPPs. 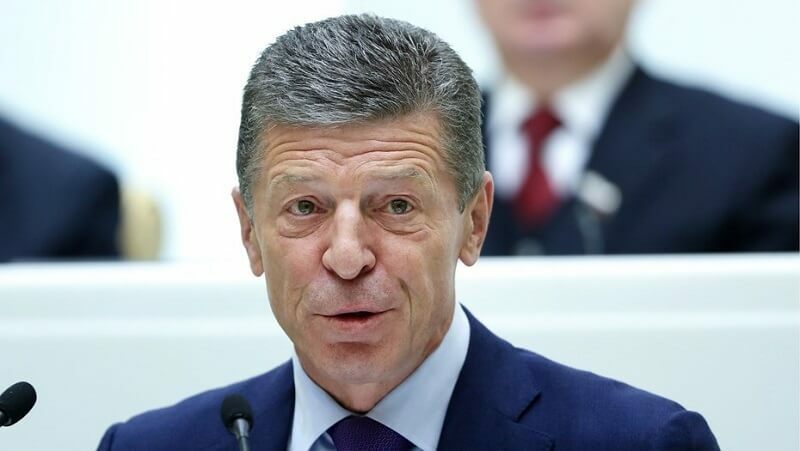 Dmitry Kozak also instructed the agencies to submit proposals for reducing duties and resetting VAT for importing WPP components by November 20. What it involves is their inclusion in the list of equipment, which has no analogues in the Russian Federation (this resets VAT), as well as inclusion in the list of goods for “processing for domestic consumption”. As Kommersant was explained to by Timur Kotlyar, Managing Director of Government Relations Projects at the Rucnano Managing Company, now there is a zero duty rate on the import of wind farms as a set, and 0-10% for components. To support factories for the production of wind turbine components established in the Russian Federation it is proposed to give the processing regulations at the customs, says the top manager, “this will allow, subject to the release of the final installation, to zero duties on components produced not in the Russian Federation.” As an example, he cited the production of fiber optic cables, the fiber for which is produced by one of the Rusnano factories, and a number of other elements are being imported. For two years, the government has turned on the processing regulations for the importation of components with the payment of zeroed duties on the finished cable. Timur Kotlyar said that the introduction of the regulations does not require coordination with the ECE, Kommersant notes.